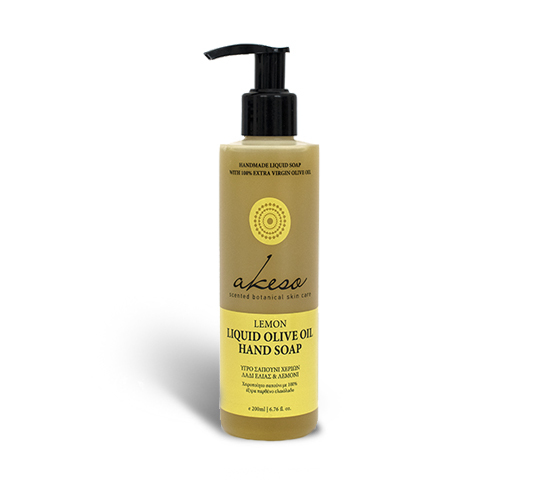 A natural handmade soap made of extra virgin olive oil, which cleans and softly disinfects your skin while the rich foam hydrates and takes care of your hands. Lemon essential oil possesses strong antiseptic, antibacterial, antifungal and antimicrobial properties. Extra virgin olive oil, potassium hydroxide, coconut oil, grape seed oil, castor oil, glycerine, lemon essential oil, water from the springs of Taygetos.